New York’s 18th District could see a rematch of 2012, as former Rep. Nan Hayworth, a Republican, has filed a statement of candidacy with the Federal Election Commission last week to lay the groundwork for a 2014 campaign. Hayworth was elected in 201… Please login below or purchase a subscription to the Putnam County Courier to access this content. Mario Antoci thanks the audience for “my unnecessary recognition” while VFW Commander Harvey Stode looks on. 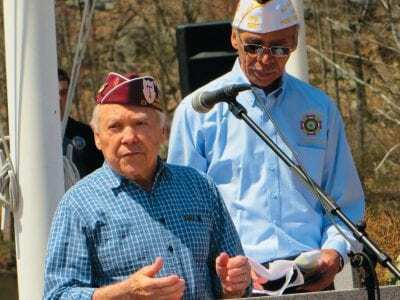 Photo by Eric Gross Scores of veterans and their families gathered at the Putnam Veterans Memorial Park in Kent Sunday to celebra… Please login below or purchase a subscription to the Putnam County Courier to access this content. A Mahopac man’s routine trip home along Route 6 in Baldwin Place on a cold winter’s night six years ago turned tragic when his car and another vehicle encountered icy pavement and collided head-on. Slim Zouaoui, 32, suffered massive trau… Please login below or purchase a subscription to the Putnam County Courier to access this content. Pot possession charges against State Assemblyman Steve Katz will be dismissed if he completes 20 hours of community service and stays out of trouble for the next six months. The deal was brokered in a courtroom in upstate Coeymans Thursday by Katz’ … Please login below or purchase a subscription to the Putnam County Courier to access this content. Thierry Davin and his sons, James, 10 and Scott, 9, serve home baked breads at the affair. Guests arrived hungry as more than 300 jammed into the Starr Ridge Manor Banquet Hall Saturday evening for the Patterson Rotary’s 17th annual “Men … Please login below or purchase a subscription to the Putnam County Courier to access this content. 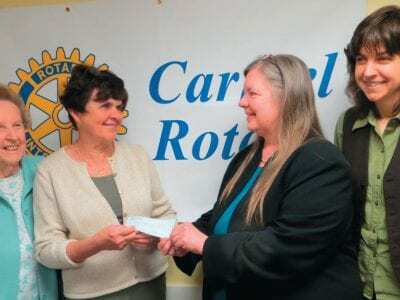 Amy Covais presents a check to Elaine Krueger (left) and Dimmy Lotrecchiano last week while Jennifer Stengle (right) looks on. Veteran Brewster-Carmel Garden Club members Elaine Krueger and Dimmy Lotrecchiano thought they had been invited to lunch to… Please login below or purchase a subscription to the Putnam County Courier to access this content. 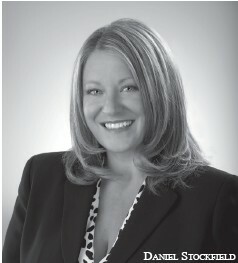 From The Chamber Good leadership is vital to any organization, and we as a business community benefit greatly from the vision of those who have assumed the mantle of executive of our various organizations. This past week, the Greater Mahopac- Carmel … Please login below or purchase a subscription to the Putnam County Courier to access this content. Wednesday marked the first anniversary of Putnam County’s most tragic fire when four members of the Thomas Sullivan family perished inside their Carmel home as it went up in flames in a predawn inferno. Larchmont Police Department Captain Thom… Please login below or purchase a subscription to the Putnam County Courier to access this content.